The documentary Lovesick tells story about two HIV+ singles searching for love, and the doctor in Chennai who helps them. With the annual Mumbai film festival MAMI in full swing, audiences are gearing up to catch the much anticipated documentary LOVESICK that premieres today at the 20th edition of the festival. 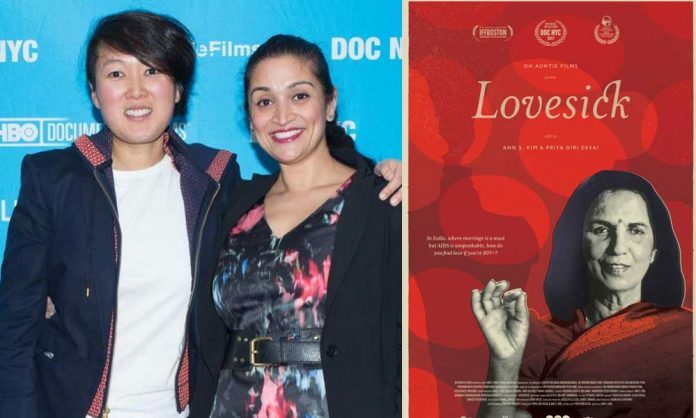 Directed by Ann S. Kim and Priya Giri Desai, the film is a highly topical documentary about the pioneering HIV/AIDS doctor and Padma Shri recipient Suniti Solomon. In 1986, she discovered India’s first case of HIV. Twenty-five years later she found another way to help fight the epidemic: as a matchmaker finding the perfect spouses for her HIV+ patients. Eight years in the making, LOVESICK captures Dr. Solomon and two of her patients – Manu and Karthik – as they fight secrecy and stigma while searching for love. “This film isn’t just about HIV – at its core, this story about Dr Solomon and her patients is about the universal need for love and connection,” said Ann S. Kim, director and cinematographer of Lovesick. “Lovesick” will be featured in MAMI’s discovering India section (international premiere). The film had its world premiere at DOC NYC. Next articleAnanya Pandey’s Pre-Birthday Gift From Her Mom Is Too Cute To Handle!